Cooperstown, N.Y. - Discover how rural New Yorkers typically celebrated Thanksgiving in the 1840s when The Farmers&apos; Museum re-opens its doors on the Friday and Saturday following the holiday - November 25 and 26 from 10:00 a.m. to 4:00 p.m. Visitors will see traditional Thanksgiving foods prepared over the open hearth at the rustic Lippitt Farmhouse. Look in on the museum&apos;s live turkeys and see their unusual turkey hutch, ride the Empire State Carousel, or just enjoy a peaceful walk around the museum&apos;s historic village. You can also learn about unusual 19th century digestive medicines as they are created at Dr. Thrall&apos;s Pharmacy and see the blacksmith create kitchen utensils used in the 1840s. Watch our farmers "drive the turkeys to market" at 12:00 and 2:00 p.m. The Farmers&apos; Museum is the ideal setting to spend time with family and friends over the Thanksgiving holiday. Catch up on your holiday shopping at Todd&apos;s General Store in the Historic Village and TheFarmers&apos; Museum Store. The museum stores feature unique wooden toys, books, Solmate Sox, Marble jewelry, artisan-made products, and much more. Beautiful holiday items and greeting cards are in stock including handmade, glass ornaments from Peggy Kaar. NYSHA members receive 20% off! The Crossroads Café will also be open for your refreshment needs. Admission: $10 adults, $9 seniors (age 65 and over), $5.50 children age 7-12, free for children 6 and under and for members of the New York State Historical Association. Visit FarmersMuseum.org/thanksgiving for a complete schedule of activities. Image1: Gwen Miner, Supervisor of Domestic Arts at The Farmers&apos; Museum, is shown preparing traditional Thanksgiving foods in the Lippitt Farmhouse during the event "Thanksgiving at The Farm," which takes place the Friday and Saturday after Thanksgiving Day at the museum. 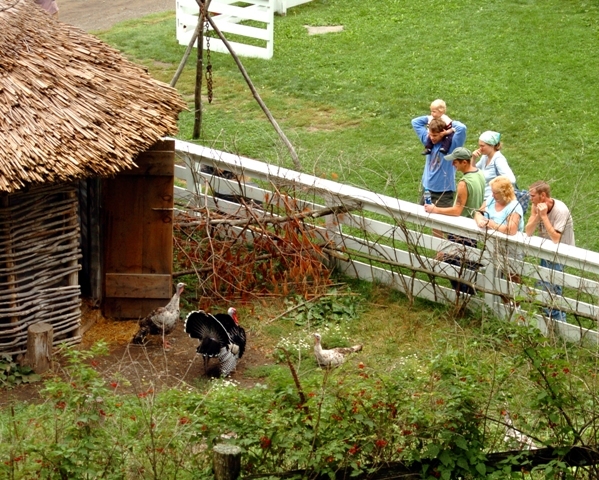 Image2: A group visits with some of the many live turkeys at The Farmers&apos; Museum in Cooperstown.